As a woman, you take on many roles throughout your life, and it is imperative to stay healthy in order to thrive throughout each new season. Scheduling your well woman exam provides a unique opportunity for your health care provider to screen for potential health problems, to answer your questions and to discuss your overall health. 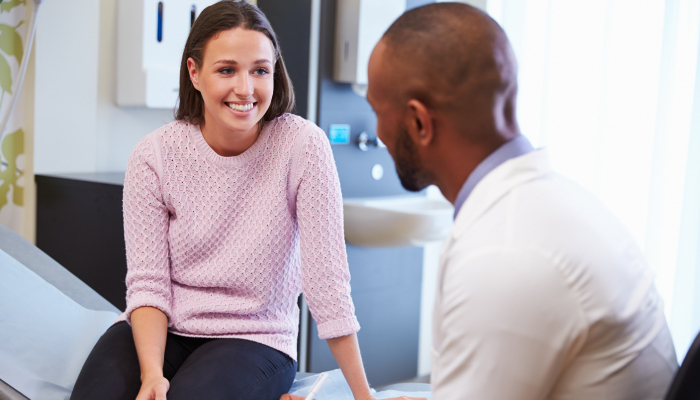 As the foundation of women’s health and wellness, UnityPoint Health shares why scheduling your well woman exam could be the easiest, most important part of your health care routine. You and your nurse or doctor will document your health habits and history, covering topics like medical history, family health history, relationships and sexual partners, eating habits and physical activity, use of alcohol, tobacco, alcohol and other drugs, as well as mental health history. Based on your health history, your doctor may make certain recommendations, such as specific lifestyle changes or additional screenings. Your doctor will most likely conduct a standard physical exam to ensure you are developing on track, and to catch any potential problems before they advance. Your nurse or doctor will measure you height and weight, calculate your body mass index (BMI), check your blood pressure and make sure you are up-to-date on all immunizations. During your physical exam, your doctor will conduct a breast exam to check for any abnormalities in your breast health that may indicate signs of breast cancer. He or she will also teach you how to conduct a breast self-exam, which should be done at least once a month, preferably just after your menstrual cycle has ended. If changes in your breast health are identified, you may be referred to a specialist. Because most cervical cancers grow slowly and can be treated successfully if found early, your doctor will perform a pelvic exam each year during your well woman visit. During the exam, you may have a pap smear, where a sample of cells from your cervix is collected to screen for cancer through a pap test. If the cells received are abnormal, further treatment or screening will be prescribed, such as colposcopy or biopsy. Frequency of pap tests are based on age as well as risk factors. Once the full examination is complete, together, you and your doctor will determine which screenings or follow-up services are right for you. If no further visits are required, your doctor will still address next steps for staying healthy, as well as devise a plan for meeting your health and wellness goals. Schedule Your Well Woman Visit Today! Getting your annual well woman exam is fundamental to wellness, health promotion and disease identification throughout your life. That’s why UnityPoint Clinic offers well woman exams, as well as a variety of other women’s health services, designed specifically to meet the needs of women of all stages and ages of life. Want to learn more? Use our Find a Doctor tool to locate a family medicine doctor or OB/GYN in your area.